It turns out that FBI director James Comey covers his laptop camera with tape, just like any NSA-fearing citizen should - an admission that has generated hilarity on social media. The FBI chief confessed to keeping his camera covered at a Kenyon College, Ohio speech on encryption and privacy on Wednesday. Comey revealed that he had learned of the novel camera blocking trick from the news. “I saw somebody smarter than I am had a piece of tape over their camera,” he said, NPR reports. Ok, it might be time to get my @IAPP or @EFF web-cam privacy shield out. Even the @FBI Director, James Comey uses one! Trust, but protect! After Comey admitted that he too is concerned about privacy, the internet was quick to call him out on his double standards. @businessinsider@theblaze His reason doesn’t go over well. He does it bc he knows someone "can" watch him. You carry a networked location-tracking mic/camera/accelerometer everywhere you go, but sure, tape over the built-in webcam on your laptop. Twitter users pointed to the apparent hypocrisy of the FBI chief’s arguing for back doors in gadgets and software to beat encryption, whilst at the same time guarding his own privacy. The FBI argues it should be able to hack your webcam with a warrant, while the FBI director covers his own to thwart surveillance. America. @csoghoian@Fronicus hard to be upset about surveillance that's do easily foiled with a scrap of paper and a piece of tape. 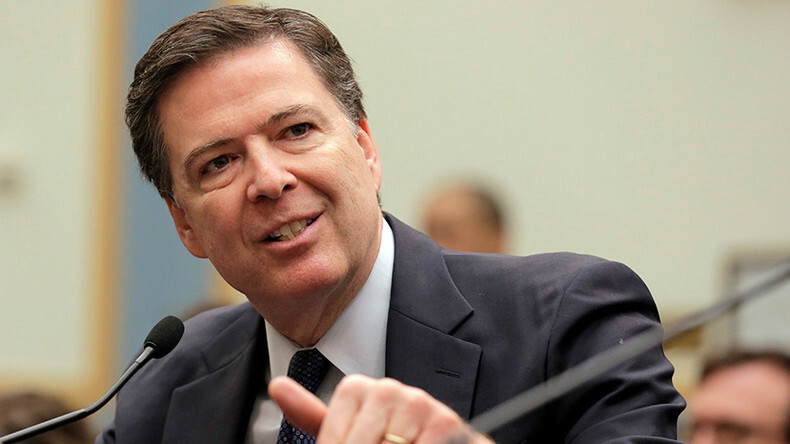 Comey also discussed the recent legal battle between Apple and the Department of Justice, in which the FBI tried to coerce the tech company into breaking into the phone of the San Bernardino shooter, but later announced they had purchased a tool from a third party that had allowed them to unlock the phone without Apple's help. Comey said that the FBI had only been able to break into an iPhone 5c, however, and that the mysterious hack would not work on any other model of iPhone. Big Brother watching over you a little too much? Put tape on your webcam! Comey said he was worried about Apple’s request which asks the FBI to reveal how they accessed the phone. "We tell Apple, then they're going to fix it, then we're back where we started from," he said. "We may end up there, we just haven't decided yet." The FBI head argued that “absolute privacy” hinders law enforcement, but his desire to not be watched through a webcam suggests he believes otherwise.